What is a connection broker in Systems Management? The Systems Management agent will poll the platform every 90 seconds with keep alive messages. If there is more than one agent on a LAN, one of those agents will be automatically designated as a Connection Broker (CB) which will deal with all the pings and keep-alives from the other devices on the LAN. This keeps the outbound/public traffic to a minimum. You have the ability to nominate a device within your network to act as the connection broker. This will give the device a node score of 20 by default. If you have two devices that have been nominated as a connection broker inadvertently, the device that contacts the platform first will become the connection broker. This is done via the agent browser on the local device. It is usually recommended that you nominate a device that is likely to have the highest uptime such as a Server within your network. 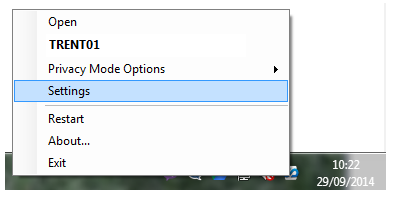 On the device you want to nominate as the connection broker, right-click on the agent browser on the system tray and click Settings. 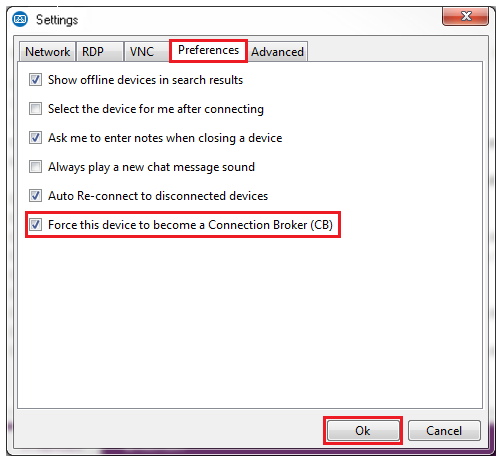 In the new window, click on the Preferences tab and then tick the box that says Force this device to become a Connection Broker (CB). Finally click OK to apply. This will now set the device to have a Node Score of 20, thus ensuring that the device is a connection broker.